According to The American Society of Plastic Surgeons, eyelid surgery, also know as Blepharoplasty, was one of the top five cosmetic plastic surgeries in 2013 touting over 215,000 procedures performed. 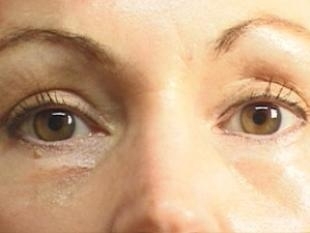 Eyelid surgery can treat loose or saggy skin that creates folds around the upper eyelid (Ptosis), excess fatty deposits that make your eyelids appear puffy, bags under the eyes, drooping lower eyelids that show the white beneath the iris (Ectropion), and excess skin and wrinkles around the eyes. Whether you require the surgery to aide with functional problems with the eyelid (upper or lower), or want to remove signs of aging such as wrinkles and damage from the sun, Blepharoplasty is the answer to your problem. 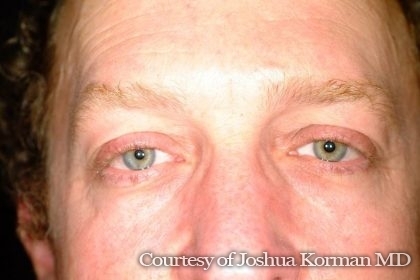 Ptosis is the technical term for a “drooping eyelid.” People of all ages may suffer from this condition — age or genes both acting as contributing factors — and it may affect one or both eyes. Living with this condition, depending on the severity, may affect your lifestyle and quality of life as the eyelid droops into your field of vision and requires you to begin modifying your every day practices. Reading for extended periods of time may become difficult and you may find yourself having to lift your chin in order to see in front of you. Similarly, aesthetically, you may find the drooping your upper eyelid to make the appearance of your eyes and/or face less pleasing to you. Fortunately, however, it is treatable with minor surgery that lasts less than hour for both eyes. In simple terms, Ptosis is generally caused by the eyelid becoming separated from the muscle that allows you to raise your eyelid—the Levator muscle. 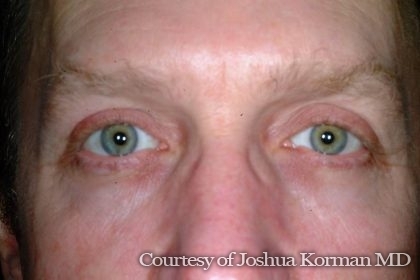 This may occur due to an injury, old age, swelling of the upper eyelid, etc. 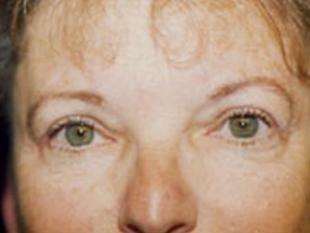 The appearance of this is characterized by a larger skin crease and a thinned eyelid. Movement of the lid may continue as normal, however, with the increased drooping of the skin into the field of vision your ability to see unobstructed may be compromised. The fairly minimal surgical procedure of tightening the levator muscle in the eyelid along with Blepharoplasty to remove the excess skin and fat from the area is generally the most effective treatment to restoring a full field of vision. Most of the time all that is necessary is a small tuck of the levator muscle to allow for the appropriate raising of the lid. This occurs as an incision is made along the lash line, corner to corner, and then once the levator muscle is tightened the excess fat and tissue are removed allowing for the pre-determined reshaping of the eye. Once the eyes are reshaped fine sutures are used to close the incision. This is an outpatient procedure using local anesthesia. During your recovery you may have a lubricating ointment and cold compresses applied to your eyes. Likewise, in some cases, your eyes may be loosely covered with gauze. Before leaving, you will be given specific instructions on how to care for your eyes, what medication you may need to reduce the potential for infection, specific signs to look for, and a follow-up date with your surgeon (about three days after the surgery to allow for removal of the sutures). During the first week of post-operative recovery you may experience bruising or swelling around the eyes. Lastly, it is important to use darkly tinted glasses and practice diligent sun protection until your eyes are fully healed. An Ectropion is the technical term for an outwardly turned and “sagging lower eyelid” that shows the white beneath the iris. The sagging lower eyelid exposes the eye and leaves it dry. This condition may lead to damage of the eye if left untreated. Generally, this condition affects older people as the tissue around the eye relaxes with age, however, it may also occur as a result of facial paralysis (Bell’s Palsy), trauma, scarring, or other surgeries. 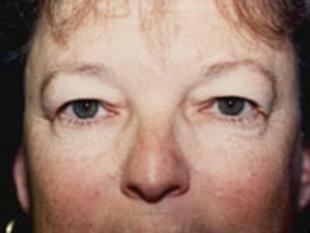 Luckily, many times this condition may be treated with the minor surgical procedure of Blepharoplasty. In many cases, this condition occurs with age as the tissues around the eye relax causing the wet, inner, conjunctival surface (the red part of your bottom lid) to be exposed and visible. Aesthetically, for many, this may not be pleasing and may alone act as the reason that some seek surgical help. However, having the lower lid sag and protrude means that both eyelids may not be able to meet and close appropriately which would inhibit the lids from protecting the eye and preventing tear evaporation. This then may lead to irritation of the eye, excessive tearing, and redness of the lid and conjunctiva. If left untreated, the condition may lead to eye infections, increasing redness, pain, and sensitivity to light. Initial treatment of redness and irritation may be done with eye drops and ointments, however, to functionally correct the drooping of the lid mostly associated with aging Blepharoplasty may be required. To perform this surgery, an incision is typically made at the outside corner of the eyelid and then the lower eyelid is shortened, tightened, and then reattached. Similarly, at this time, any extra skin or fat is removed to allow for the reshaping of the eye as desired by the patient. After reshaping the eye, fine sutures are used to close the incision. This is usually an outpatient procedure using local anesthesia. It is common to have eye pads or gauze on your eyes for anywhere from a couple of hours to overnight after surgery. You may experience bruising or swelling around the area for about a week. Likewise, you will generally have an antibiotic ointment prescribed that you will use for a week or so to help prevent infection. If you experience pain, a general pain killer like Ibuprofen may be taken. Before you leave you will be given an a follow-up date for an appointment with your surgeon. Be sure to follow all instructions provided and take care when going out in the sun. There are many types of eye wrinkles that affect the way that we view our face. 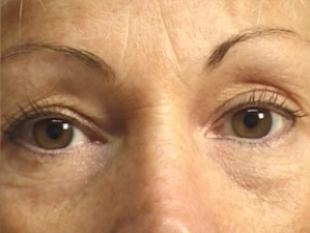 Slight wrinkles along the side of the eyes (crows’ feet), fine lines, or puffiness created by excessive fat all lead to a sometimes unpleasant reflection in the mirror. Blepharoplasty may be option that you have been seeking to help enliven and freshen the face that stares back you. This simple, outpatient procedure may take years off your appearance and help bring that glimmer back to your eye. Come in for a consultation to discuss the best plan of action. Most health insurance companies do not cover the cost of cosmetic surgery, however, if surgery is needed in order to remove excess skin from the upper eyelid that comes over your eyelashes and infringes upon your ability to see clearly this may be covered. In many cases, surgeons offer a patient financing plan to help cover the costs. Costs may vary depending on the extent of the surgery required. All costs and payment plans will be discussed at the time of your initial consultation. Please contact us to discuss your specific situation and needs.